It doesn’t matter why you are interested in better dental health – whether it’s for yourself, a family member, a friend or neighbor, the information on these pages will help you join dental professionals, health care providers, schools, organizations, teachers, caretakers, decision makers, older adults, and children speak up for oral health for every Nevada resident. Follow us on social media for tips on better dental health, news, events and bit of fun. Subscribe to our bi-monthly newsletter which features interesting articles on oral health, general health and well-being. 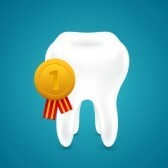 Become an oral health champion. Donate to Oral Health Nevada; your tax deductible donation will help to support our statewide activities and initiatives.